I never saw it coming. I was studying at Bishop’s University for my B.A., and then, in the blink of an eye, I found myself attending classes in German at Vienna University for my Master’s degree. How did I end up here, in the country of Mozart? A mandatory part of this minor is to participate in an international exchange. Since I mostly wanted to improve my German skills, I obviously picked a university in Germany, the small Bavarian University of Bamberg. Luckily, I had learnt German well enough at Bishop’s University to communicate in my everyday life. I was also able to talk about deeper subjects such as literature, cinema, politics, arts, etc. This knowledge allowed me to meet new people from around the globe, and eventually meet my wonderful Polish girlfriend. 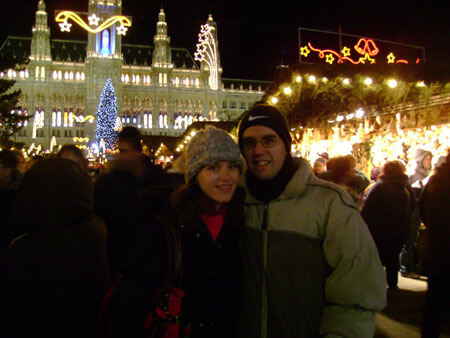 After the exchange program, my girlfriend and I decided to move to Vienna University to continue our studies. I had finished my B.A., so I only had to find a program of study related to languages at Vienna University. I finally found the Master’s program in Interpreting, a program that requires its students to know three languages at the C2-level (in the European Union, the C2-level is the highest level someone can reach). Thanks to my studies at Bishop’s University, I already knew French, English and German, so I was eligible for the program. And now here I am, enjoying Wiener Schnitzel and Waltz courses in the city of Strauss while studying Interpreting! When I chose Bishop’s, I chose my future. In my last year at BU, I looked into the possibility of teaching and also taking a year off to be an Aupair in Germany. The second option worked out, and it was an amazing experience! I fell in love with the country! My language skills also improved immensely!! I am reading German novels for fun! (something I would not have done beforehand). My year abroad changed my ideas (for jobs)…I’d still like to work with kids at some point, but I have gained such a desire for travel (…I’ve got the “TRAVEL BUG” even more now, than last time I returned from Europe) and with my fluency in German, I’d really like to make use of the languages. I am right now looking into jobs in the tourism area, as well as government. Depending on what options turn up I may or may not return to school. For starters…you can do TONS of things with a Modern Languages degree! Having more than one language opens so many doors (in my case I’m finding it’s too many, because I don’t know where to start!) I am SOOO glad I chose to do the Modern Languages degree!! And, at Bishop’s I was able to major in 2 languages, something most universities do not offer – at least, that’s one reason why I chose BU. I would HIGHLY recommend students do an exchange, spend a summer abroad (whether taking a course, or working), or a year after they graduate. Definitely at least 3 or 4 months, because you need that length to really get a feel for the culture and language… I have to say that longer is better, but not everyone can do that. I do not regret the ML degree… I am thankful for it, because of the possibilities I have and the doors it has opened. 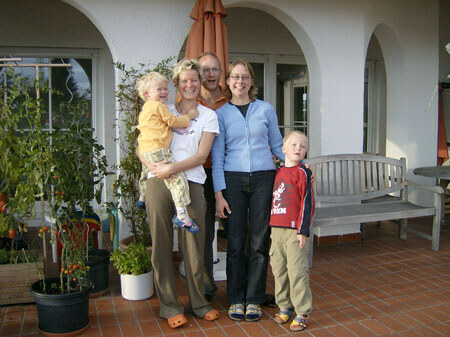 For those considering spending a year abroad, here’s what I did…I lived with a family in the south of Germany and was responsible for their 2 children, as well as some of the housework (laundry, ironing, vacuuming). I had the little girl in the mornings and then would usually pick the boy up from Kindergarten, give the kids lunch and spend the afternoon playing with them. We had a written contract beforehand and they stuck to it, so I was not overworked. That’s something I highly recommend looking into, no matter what the job, because you want to know for sure what you’re getting into. I worked an average of 35 hours per week. 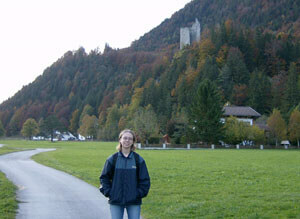 During my time off I got involved in the community and spent time travelling throughout Germany and throughout Europe. No matter where in the world you go – it’s the opportunity of a lifetime, so don’t miss out! One can say without hesitation that the German Studies Section at Bishop’s is really a lively one! Aside from a wide range of courses that allow to complement the study of the language itself with German literature, culture and history, I really appreciate having the chance to speak German in an informal and relaxed atmosphere at the weekly “Stammtisch”. This year, I was on exchange at a German university; this was an opportunity not to miss! I came to Bishop’s in September of 2001 and was enrolled in a 4 year BBA program and would eventually concentrate in Finance and Economics. My mother was from Germany and my father from Switzerland and I was therefore fortunate enough to have learnt to speak German and Swiss-German. We had moved to Halifax in 1988 and I had therefore done all my education in the Canadian school system. I spoke German fine, but I wanted to improve my writing skills and therefore decided to take a few German classes at Bishop’s and would eventually pursue with a minor in German. I was very active in the German program. I participated in German Theater and went to Stammtisch. I eventually went on to become president of the Deutschklub. During my year as president, myself and the executive team that year established such events as Oktoberfest, Filmabend, Kaffee und Kuchen, Weinfest and a Bretzel fundraiser. Thanks to my improved writing skills in German, I had the opportunity to work for a company in Switzerland during my summer break. This was a great experience and it paid well. I went on to work for this company for three consecutive summers. As I was finishing up my degree in 2005 I decided to move to Switzerland and pursue a career in the investing industry in Zürich. So if you’re ever asking yourself, “What could I ever do with German?” well look at my experiences and you should realize the huge opportunity it gave me and could potentially give you. Good luck with your studies and enjoy your stay at Bishop’s.